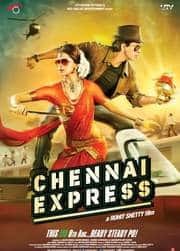 Chennai Express is the story of a 40 year-old bachelor, Rahul, who lands up in a train journey from Mumbai to Rameshwaram that makes him realize the importance of love. Chennai Express is an immensely entertaining film with lots of masala and the thing I absolutely adore: low-brow humor. Not many can do it right (read Sajid Khan) but there are those who can. Rohit Shetty falls in the latter category. 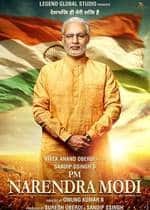 As he addresses it in this movie - "Single screen humor". Oh the joy of laughing at silly humor is easy to disregard but there is a reason why it works - because it's funny. Chennai Express departs like every other Rohit Shetty vehicle. The comedy seems forced at the start and takes its time to settle but soon the unpretentious mindlessness starts tickling you and you can't help but laugh. His humor is typical. He makes the most basic scenes funny and the comedy is created out of the pointless. I love how there are movie references in every film of his. This time there are Shah Rukh films that get the Shetty treatment and oddly enough, there is one Life of Pi reference (which had me choking, mind you). 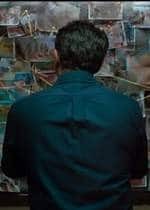 This film reminded me of certain dramedies of the 90s where every scene has something or the other happening, relevant or irrelevant to the plot. But those abba dabba chabbas are the ones that people remember years later - because it sticks. The music by Vishal-Shekhar grew on me. I especially like Kashmir Main Tu Kanyakumari and Lungi Dance as far as the "fun" songs are concerned. Amongst the somber ones, Titli and Tera Rasta Chhodoon Na do the trick. Deepika Padukone deserves a special mention for working that accent. She is consistently funny and makes up for many laughs. To be honest, when her career began, I thought Deepika Padukone was one of those models who can't be seriously considered as an actress. With every film, she seems to be proving me wrong. My personal belief is that if an actress can do comedy well, she can do anything on screen. She has sealed the deal with this film, this isn't just a pretty face. At certain points, she steals the movie from Shah Rukh. I don't see any point in talking about how the film is more than what I have said. These days, commercial cinema is not about the story or the acting. (Thankfully there is a plot here, predictable yes but rarely a moment where you get bored). 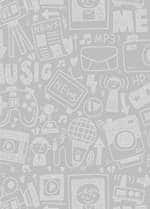 It is all about what star you like or what songs you like. Here's what I'm going to do. I'll talk about the star in question: Shah Rukh Khan. 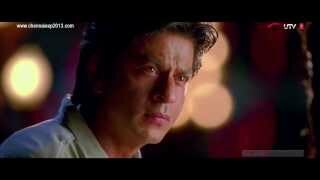 In Chennai Express, we see many facets of this superstar - funny SRK, romantic SRK, silly SRK, heroic SRK and my favorite is saved for last - angry SRK. Yes, this is Shah Rukh Khan's return to form. This would be a great time to announce that I'm a huge fan of Shah Rukh Khan. I love many actors in Hindi cinema currently (including all the Khans, in case you're thinking I'm biased) but there are only 3 actors who I call myself a fan of: Dilip Kumar, Amitabh Bachchan and Shah Rukh Khan. I know what you're thinking, he doesn't belong in that company. Why I put him next to such great actors calls for another discussion or a blog post. But if I have to point out why, then I'm a sucker for over-acting. Yes, when actors ham, go completely over the top and don't leave an iota of subtlety in their persona. That. It's been years since people have truly liked a film of his. With commercial cinema shifting gears from Yash Raj romances to masala potboilers, his place in Bollywood was also uncertain. Salman Khan became the only big thing, after a bad phase in his career (I do love Salman, don't get me wrong. But we are talking about Shah Rukh here). That bad phase was transferred to SRK (To have three 100 crore grossing films in your bad phase, that's what a megastar is). Either way, SRK and his fanbase saw a downward spiral after 2007. His last big success, which was actually liked by people (or let's say, did not get a bad word of mouth) was Om Shanti Om. Remember that drama at the end? SRK makes a speech here in full melodramatic fashion (with some woman empowerement messages thrown in). Remember those scenes from DDLJ when Raj was beaten up at the end? When he suddenly comes back up in slow motion and all those hockey sticks spring out in unison? Remember the blood-covered face in Koyla? Remember when our hero was beaten and badgered and got up to fight when you thought he was done for! 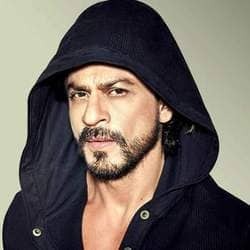 I said this is a great time to announce I'm a fan of his not because I was hiding but I was busy shielding the blows that him and his films faced for a few years. (When I'm a fan, I am a loyalist, especially during bad times). That time is over. Now it's time to get up and get on that train. SRK is in "movie star" mode here. After a long gap, he has played a full-fledged comic character. Where he makes fun of himself and lets others in the movie make fun of him. Nothing is taken seriously, except the need to shamelessly entertain by Rohit Shetty and team. Needless, to say if you're a fan of SRK or Rohit Shetty (like me), you will love Chennai Express. If you aren't, you'll probably not like it anyway. Although, I'm fairly sure you won't hate it. I enjoyed every bit of it and came out sufficiently entertained. As far as commercial filmmaking is concerened, this is how it's done!